The SOS.FTP NDA, gives you a quick way of sending or receiving a file by FTP transfer, from either the desktop, or while you are running an application. It is compatible with both the 640 SHR screen, and the 320 standard display. 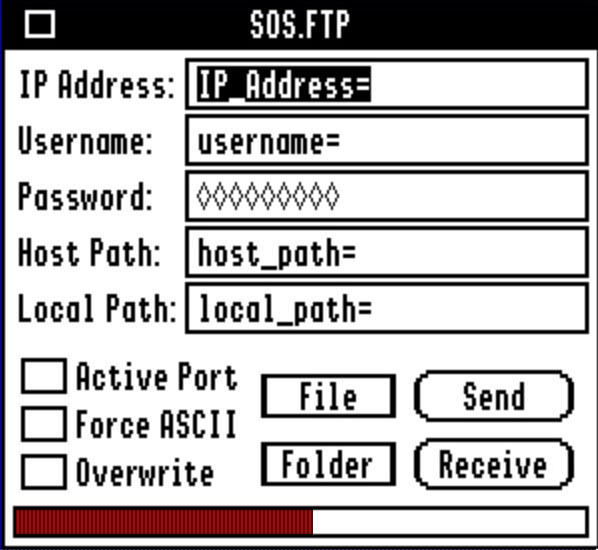 The SOS.FTP NDA uses the FTP Tool Set. A copy of the Tool is included in the NDA archive, but if you wish to learn how to use the Tool yourself, please refer to the PDF Manual for the Tool itself.